The Dream It. Do It. Minnesota Statewide Tour of Manufacturing provides one of the best opportunities for schools, families, and the general public experience modern manufacturing. Tours take place throughout the year; however, many tours occur during Minnesota Manufacturing Week, October 1-7. Manufacturers find resources and help change the perception of manufacturing! Transportation scholarships are available for schools to tour advanced manufacturers. Use our new career tool to take a peek into a day in the life of someone who works in modern manufacturing, take a quiz to see where you fit in manufacturing, and learn more about Minnesota manufacturing. Dream It. Do It. MN is a collaborative grassroots effort between manufacturers all around Minnesota that want to tell the world about why they love the manufacturing industry. 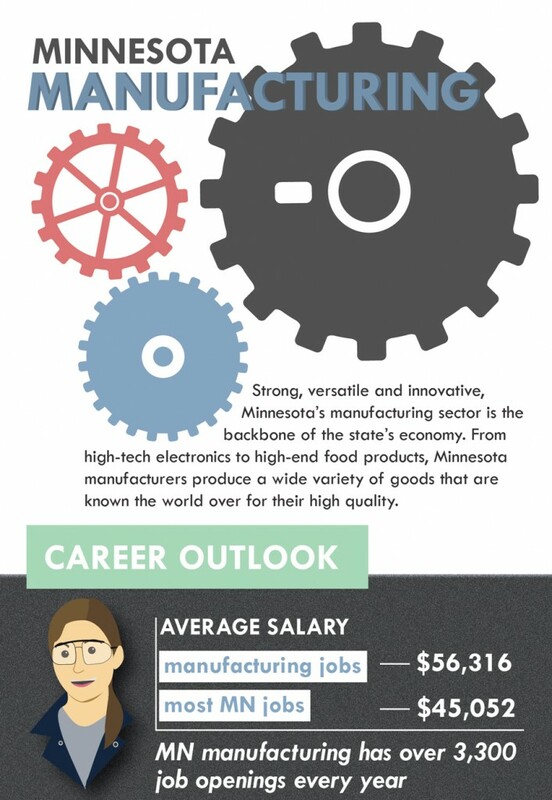 As you may know, 1 out of every 8 Minnesota jobs are tied to manufacturing so it’s incredibly important that we have good qualified people in the industry that know how to make some of America’s favorite products. Manufacturers are constantly on the lookout for good employees and partners. See why there’s so much opportunity and how you can start your career.